Fired up the Big Green Egg again this weekend to cook fajitas for a close group of friends. By cook fajitas, I mean cook lots of fajitas. 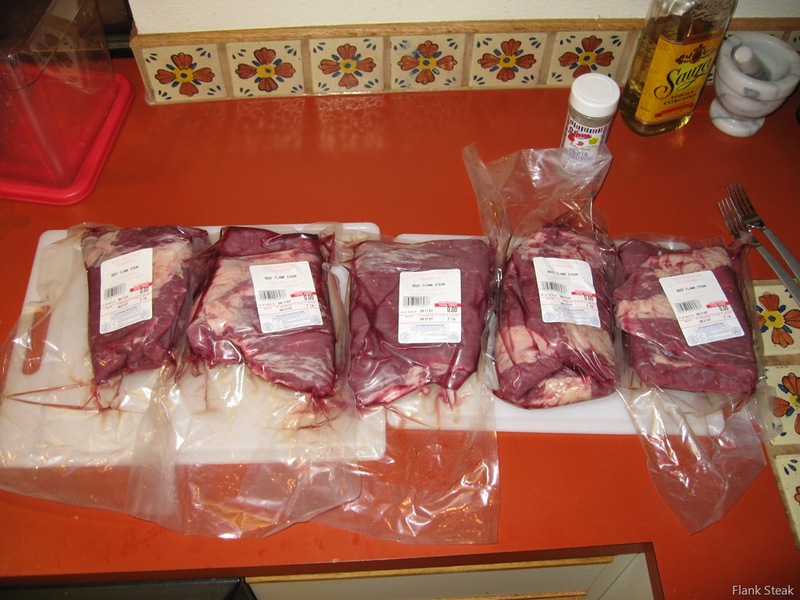 We picked up a whopping ten pounds of flank steak from Amazon Fresh and cooked it all. If that wasn’t enough, we also cooked up some chicken fajitas; probably another two pounds worth of food.